Rekeying Locks: When and Why Should You Rekey? 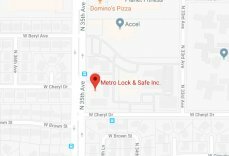 | Metro Lock & Safe Inc. There are so many reasons for changing or rekeyeing your locks. When you move into a new home, change cleaning services, or let an employee go these are all good reasons to consider a lock change. Any time people may have old keys it is a good idea to change or rekey. You may have gotten the old keys back, but you do not know if copies have been made. Even in cases where you trust the key-holder, keys get left around, stolen, or lost. If there is any chance that a key has gone astray, you should always think about getting the locks changed. First of all, what does it mean to rekey a lock and what is the difference between rekeying and changing out the locks? They are two very different processes. One is faster, cheaper, and easier, the other may create a more secure lock, depending on a few things. Rekeying a lock means changing the size of tumblers within a lock cylinder. The changes will no longer allow the old key to turn inside the cylinder, rendering it useless. This is the faster and cheaper process of updating your locks. It is effective in situations where you are satisfied with the security of your door. For example, if you have a strong deadbolt and just need to ensure that old keys can no longer gain access into the building, then this is the best solution. 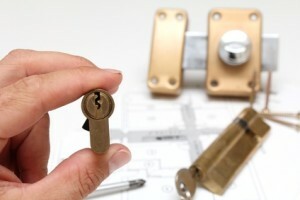 When a new lock is installed on a door it generally includes drilling a new hole for the lock cylinder. It may involve changing the doorknob as well. This takes more time and is a more expensive option. However, it is a good idea in instances where there is not already a strong, secure lock on an entrance into a building.